The Jews of Khazaria recounts the eventful history of the Turkic kingdom of Khazaria, which was located in eastern Europe and flourished as an independent state from about 650 to 1016. As a major world power, Khazaria enjoyed diplomatic and trade relations with many peoples and nations (including the Byzantines, Alans, Magyars, and Slavs) and changed the course of medieval history in many ways. Did you know that if not for the Khazars, much of eastern Europe would have been conquered by the Arabs and become Islamic? In the same way as Charles Martel and his Franks stopped the advance of Muslims at the Battle of Poitiers in the West, the Khazars blunted the northward advance of the Arabs that was surging across the Caucasus in the 8th century. The Khazar people belonged to a grouping of Turks who wrote in a runic script that originated in Mongolia. The royalty of the Khazar kingdom was descended from the Ashina Turkic dynasty. In the 9th century, the Khazarian royalty and nobility as well as a significant portion of the Khazarian Turkic population embraced the Jewish religion. After their conversion, the Khazars were ruled by a succession of Jewish kings and began to adopt the hallmarks of Jewish civilization, including the Torah and Talmud, the Hebrew script, and the observance of Jewish holidays. Portions of the empire's population adopted Christianity and Islam. 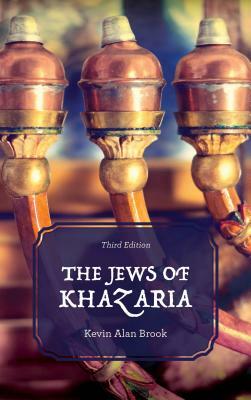 This volume traces the development of the Khazars from their early beginnings as a tribe to the decline and fall of their kingdom. It demonstrates that Khazaria had manufacturing industries, trade routes, an organized judicial system, and a diverse population. It also examines the many migrations of the Khazar people into Hungary, Ukraine, and other areas of Europe and their subsequent assimilation, providing the most comprehensive treatment of this complex issue to date. The final chapter enumerates the Jewish communities of eastern Europe that sprang up after the fall of Khazaria and shows that modern Jews from the former Russian Empire are descended from a mixture of German Jews, Czech Jews, Sephardic Jews, and Slavs but do not descend from Khazar Jews. The Jews of Khazaria draws upon the latest archival, linguistic, genetic, and archaeological discoveries. The weaponry, agriculture, horticulture, fishing, burial practices, architecture, and religions of the peoples of Khazaria are among the many findings revealed here. The book also includes a map of the Khazar kingdom; a map of Khazarian-ruled Crimea; tables illustrating royal genealogies, the Turkic language family, and Turkic Khazarian personal names; a glossary of Khazarian words and other important terms which may be unfamiliar to readers; and an extensive bibliography listing hundreds of books and articles. Students and other people interested in history who desire a thorough yet easy-to-read account of the Khazar kingdom will gain in their understanding of this important but previously obscure topic. Ashkenazic Jews who wish to explore their distant ancestry in eastern Europe will greatly benefit from reading this book, particularly Chapter 10, which traces Jewish migrations across Europe in medieval times. Hungarians, Ukrainians, Chuvashes, Volga Tatars, Turks, Arabs, and Ossetians will find a wealth of information concerning the historical interactions between their ancestral peoples and the Khazars. English original published by Rowman and Littlefield Publishers, Inc. of Lanham, Maryland, U.S.A.
E-Book (Kindle) Amazon.in 1995.95 Rs. Also available from your local bookstore by special order.